This mount is going to utilise a white devilsaur skin on a raptor model - similarly to the TCG Savage Raptor which uses the orange/brown one. A godsend if you missed the availability of Ivory Raptors and you'd love to have a white raptor mount. However, it's still unknown where do you get one of these and may remain hard to get (which would still be better than unattainable Ivory Raptors). Reward from 거대 공룡 뼈 더미의 산, turning in 9999 dinosaur bones from 괴수의 섬. Great for Alliance players who want a raptor mount, or Horde who never got a 상아색 랩터 호루라기 (original unarmored vanilla mount). Ivory Raptor can be mine! Yeeeeeees! I wonder if the world boss drops a bunch of bones. Does anyone know if the bones are bop? Today on Scientific Frontiers: What really killed the dinosaurs? A giant meteor? Volcanic Apocalypse? No. Players hunting them to extinction for their bones. Looks a lot like the Ivory Raptor from Vanilla. i don't know if i should be happy that the best mount in the game is back, or sad for the players that had it already from way back when. definitely getting this.. will feel wrong riding around on all my alliance characters though. Turning in 9999x 거대 공룡 뼈 to 쿠마 for 거대 공룡 뼈 더미의 산 grants mount. Maybe with this they can give my original Ivory Raptor some armor or something. Whoever did the screenshot for this, I want to personally thank you and say that that screenshot is GORGEOUS. I now want one of these guys a lot more. A friend and I ground it out a few hours ago. We're both warlocks so we both used voidlords (the buffed voidwalker) as the dinosaurs do boatloads of damage to a clothie. Mostly we killed the little raptors as they seemed to be the most worth it to us going by health to bone drop ratio. The grind took roughly 10-12ish hours with only me looting the bones. We each did a range of anywhere from 70k DPS to 140k depending on CDs/how much we had to resummon, etc. Using this we were able to average around 10 bones a minute each. Keeping the bone distribution pretty even compared to some people getting the lucky 40 bone loot from Primal Devilsaurs and other people getting the crumby 13 bone loot from the baby devilsaurs. Assuming you can do it at this pace you're in for a 17 hour farm fest. I personally was the first one done and got my bone-white raptor before my 원시 알 hatched. Got this today after a about 15 hour grind ! The Primal Direhorns Drops 18-22 bones - will require you to resummon a few times... however if you watch their cast bar and move in when they use 세뿔 돌진 then move back out they will use it again keep them casting and your voidlord will last longer. I call the Pterrorwing Skyscreamers British Turkeys because they look like turkeys - only with bad teeth. Wow............after about 2-3 months of on & off bone farming, I got this achievement & mount yesterday. This takes MAJOR dedication. I'm only disappointed that for all the effort players put into gathering 9999 bones, the mount is only a ground mount. I wish it flew. That would've been awesome. A friend of mine told me a method of bone farming where him & 4 of his guildies grouped up & killed the Primal Direhorn, Pterrorwing Skyscreamer & Primal Devilsaur to loot the most bones & killing the Young Primal Devilsaur & Primal Direhorn Hatchling in between for abt 3-4hrs while only ONE PERSON looted all the bones. Soon enough, that person had all 9999 bones to turn into Ku'ma <The Bone Collector> for the mount/achievement. I used the same method but with just me & my bf & we killed everything but the Primal Devilsaur & he let me loot all the bones. I saw that this method works faster in getting you the 9999 bones needed, instead of taking turns on loot. Good luck guys. Just thought i'd share my experience & that of a friends I thought was very proactive. in the end all you have to do is wait till next expansion come back with OP gear and damage and just kill all the dinosaurs. though I hope everyone else doesn't get that idea as well, given the coming virtual realms. As 521 ilvl retribution paladin, I collected around 500 bones in 1 hour, killing just hatchlings. This was my first farming day; I can expect 20 hours of solo kill those cute little dinos. Sounds horrible. A white reskin of a vanilla mount. Hardly worth the time to farm 99999 bones. 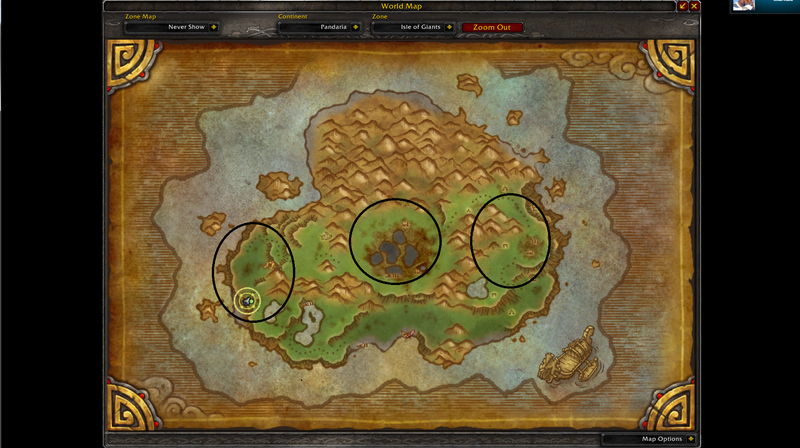 On the left side of the island is a pack of primal devilsaurs and some of the smaller ones (Outside the Bone cave), you can kite the small ones and the Pterrorwing Skyscreamer's up the ramp that leads to Oondasta. Take a small turn near the Alliance NPCS and go back down the ramp and repeat. This will usually keep you damage free. Every 10 minutes i solo a primal devilsaur with Heroism and all my cds. I'm 554 Elly sham in Resto gear. Don't be fooled! The icon may be identical to the "time-lost" favourite 상아색 랩터 호루라기's model, but this mount is slightly different. It resembles the good ol' 데빌사우루스, nonetheless a favourite of vanilla players as it is endemic to Un'goro crater. Farmed it as Warlock with a frost Mage in 2 different sessions from 3k to 6k bones then 6k to 10k. It was easy with a good steady path and clearing speed. The mount is beautiful and look amazing with a Troll char. Currently this raptor and his 원시 알 counterpart share a bug that devoid them of any sound when the space key is pressed and it's still haven been fixed by Blizzard. Worth noting that you can make this grind trivial if you are a hunter. Get the Glyph of Fetch and follow this video guide. It's basically a one-button macro that covers all aspects of combat, looting, and healing your pet. You are able to AFK and watch TV while just hitting one button over and over, you don't even need to look at the screen. Currently farming this with one of my mates getting 1000ish/per hour. As of 6.0.2 the giant dinosaur bones are no longer bind on pick up. So you may now just buy the mount if you have the gold for 10000 of the bones. I was on my Death Knight farming the 9999 bones you need for this blasted raptor, didn't take me nearly as long, but that could have been cause I didn't need to deal with others all that often. Farming the 9999 took me around 6 hours all together, but from what I have seen here they have upped how many bones drop now a days. From the small dinos I was getting anywhere from 6-12 and from the large ones I was getting upwards to 45 bones per kill, I was also doing this alone, with not so great of gear at lvl 100. So I say, if you have the time, and don't mind going a little crazy, get your butts out there and kill everything you can find, just remember to free up as much bag space as you can, cause you'll be leaving that island with greens, blues, purples, pets, and junk. Have fun out there and happy hunting! They're lethal at eight months, and I do mean lethal. uttered by Robert Muldoon when describing the Velociraptors. 6 hours of grinding at 괴수의 섬 + 거대 공룡 뼈 x 9,999 + redeem at 쿠마 = a beautiful 백골색 원시 랩터 고삐. With 110 level toon, it's pretty much doable now without losing your sanity. Get one and you won't regret. My advice for doing this? Bring friends. As a 120 assassination rogue I banged this out in 2 hours (there was only 1-2 other people there also farming). Anyways I would just use my throwing dagger which did not do enough damage to kill them initially so it gave the mobs a second a to group before dieing to my poisons plus sprint and shadowstep also help. 2 hours is right for a 120 soloing this, without enemy faction competition at least. Takes 12 minutes per 999 stack if your insta-cast one shots them, for example Arcane Explosion for me. Remember 10 999 stacks is only 9,990 - obvious. This is a nice match for my hunter with blue-white raptor. White devilsaur is a very close match for this.